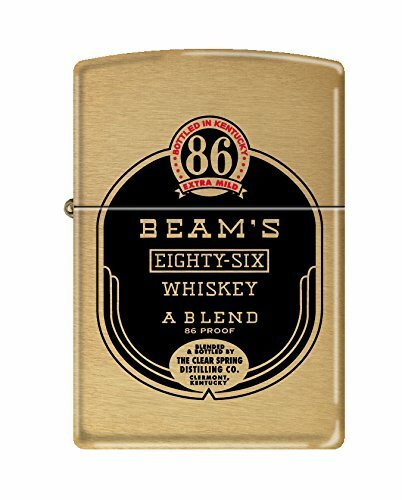 This brushed brass windproof lighter features a beam’s eighty-six whiskey a blend vintage label color imaged on this lighter. Comes packaged in an environmentally friendly gift box. For optimal performance, fill with Zippo premium lighter fluid.